Near Mint, as New, with the exception of a few very small tears and some light bumping along edges, and some light age yellowing; colors are bright, crisp, and clean. NO pinholes, poster has been stored rolled in a tube since new (1977). 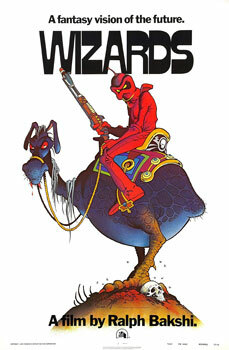 This is an original one-sheet teaser poster from 1977 for Ralph Bakshi's animated film Wizards. On a post-apocalyptic Earth, a wizard and his faire folk comrades fight an evil wizard who's using technology in his bid for conquest. 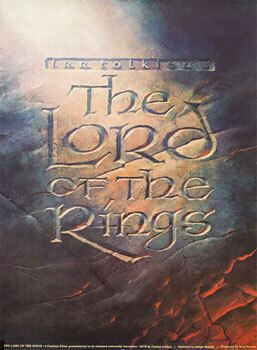 This film was Bakshi's warm-up for his 1978 animated film Lord of the Rings. VG+; colors are bright, crisp, and clean. There are pinholes in the corners, and tape on the reverse covering a vertical tear in the bottom edge. NO folds; poster has been stored rolled in a tube since about 1980. 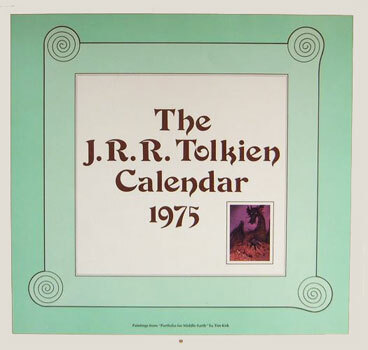 This is an original one-sheet promo poster from 1978 for Ralph Bakshi's animated film based on the books by J.R.R. 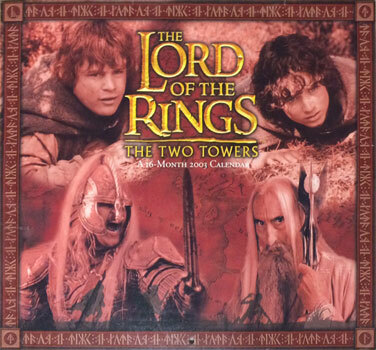 Tolkien, featuring the voices of Christopher Guard, William Squire, John Hurt, Michael Sholes, Dominic Guard. Near Mint. Colors are bright, crisp, and clean, illustration is unblemished; multiple pinholes in corners and at center of left and right edges; a few very tiny chips and some minor bumping along left and right edges; otherwise, edges are clean and smooth. 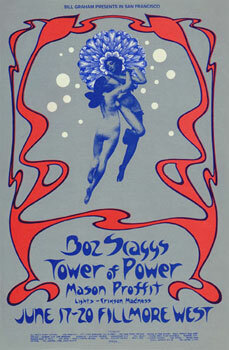 Poster has been stored rolled since it was first obtained in the early 1970s. 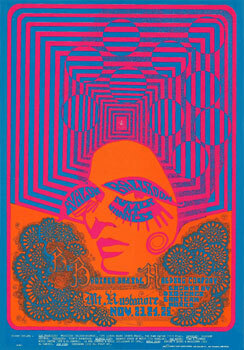 This is an original 1st printing of BG-109, one of the most important posters in the entire Fillmore series. 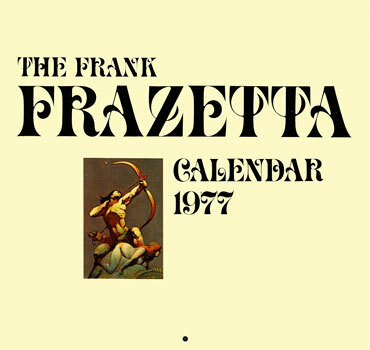 It features a beautifully detailed line drawing by Lee Conklin of Ginger Baker, Eric Clapton, and Jack Bruce, with "CREAM" flowing in white letters against a pink and blue background and a yellow/orange sun behind. 13&frac78;" x 21"
Near Mint. Colors are bright, crisp, and clean, illustration is unblemished; a single pinhole in each corner; a few very tiny chips and some minor bumping along left and right edges; otherwise, edges are clean and smooth. 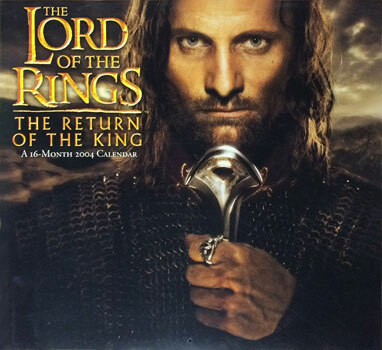 Poster has been stored rolled since it was first obtained in the early 1970s. BG-136. 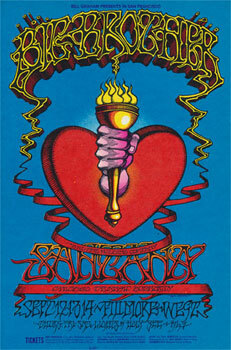 Tendril-like letters twined about a heart, a frequent Griffin motif used here as a symbol of brotherhood and life source, advertised Big Brother, an abbreviated reference to 'brotherhood', and Santana at the Fillmore West. 14" x 22"
VG+. A few pinholes ad small pieces of scotch tape in all corners, plus at center of left and right edges; a few very tiny chips and some minor bumping along left and right edges; otherwise, all edges are clean and smooth, colors are bright, crisp, and clean; a few small crease marks near the centerline of the front. 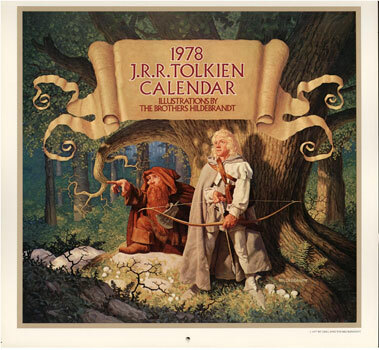 Poster has been stored rolled since it was first obtained in the early 1970s. 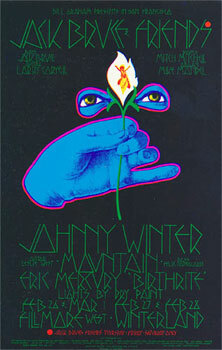 For the second time in a Graham poster, Singer abandoned his signature picture-frame style to make a cool blue announcement for Johnny Winter. 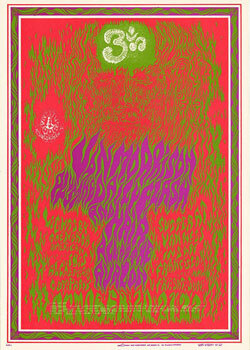 With this concert, former Cream bass player Jack Bruce returned to San Francisco with some friends including former Jimi Hendrix Experience drummer Mitch Mitchell and jazz-rock pioneer, Larry Coryell. This double postcard bears the images of both BG-79 and BG-80 (Cream, Electric Flag, Gary Burton - 8/29-9/3/67). It has a bulk rate permit on the back. In addition, some copies were addressed and mailed to people on the mailing list. 4½" x 14". Mint, as New (never mailed), with exception of dried spray glue residue on back of card from previous mounting when card was new; perfect edges, colors are bright, crisp, and clean. This is an original postcard version of one of the most important posters in the entire Fillmore series (that poster being hard to find and expensive today). 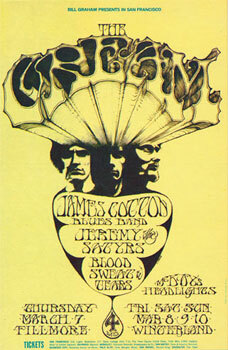 It features a beautifully detailed line drawing by Lee Conklin of Ginger Baker, Eric Clapton, and Jack Bruce, with "CREAM" flowing in white letters against a pink and blue background and a yellow/orange sun behind. 4½" x 7", "Place Stamp Here" back. This is one of the very popular images of the psychedelic era, featuring an extraordinary artistic depiction of Jack Bruce, Ginger Baker, and Eric Clapton. 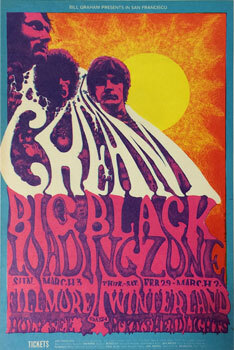 These were the last of the historic Cream/Fillmore shows. 4½" x 7", "Place Stamp Here" back. 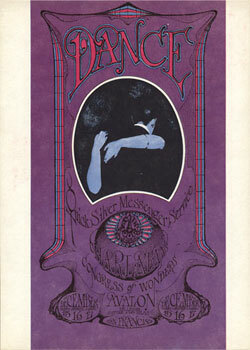 The back of the postcard features a calendar of Bill Graham events. 4½" x 7". 5½" x 7", "Place Stamp Here" back. 5" x 7", "Place Stamp Here" back. Mint, as New, with exception of very minor shelf wear from storage on front and rear covers. All interior pages and full-color artwork are clean, bright, and unblemished. 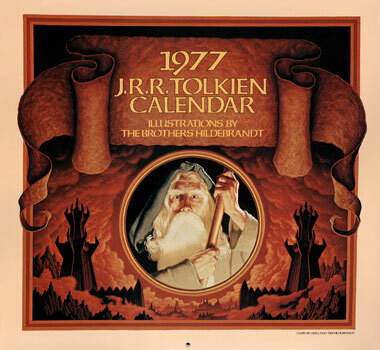 Square calendar featuring 13 stills from the first movie: Ringwraiths, Frodo, Gandalf, Bilbo, Saruman, Galadriel, Gimli, hobbits, Aragorn, Arwen, orcs, Boromir, Legolas. 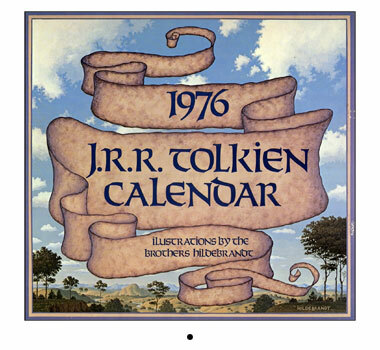 Square calendar featuring 13 stills from the second movie: Ringwraiths, Frodo, Gandalf, Bilbo, Saruman, Galadriel, Gimli, hobbits, Aragorn, Arwen, orcs, Boromir, Legolas. 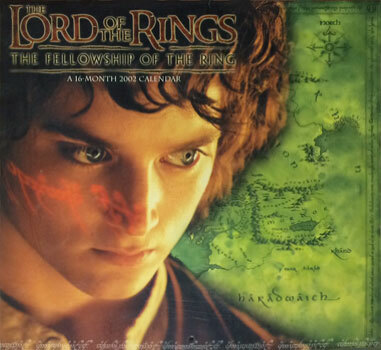 Square calendar featuring 13 stills from the third movie.